We carry a full line of martial arts uniforms ranging from heavy weight to student uniforms.We offer a variety of styles and colors. Our uniforms are top quality and we carry the biggest name brands. 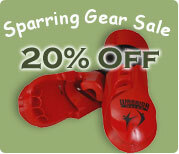 Whether it's kung fu or karate your into we've got the uniform for you, at a price you'll like.